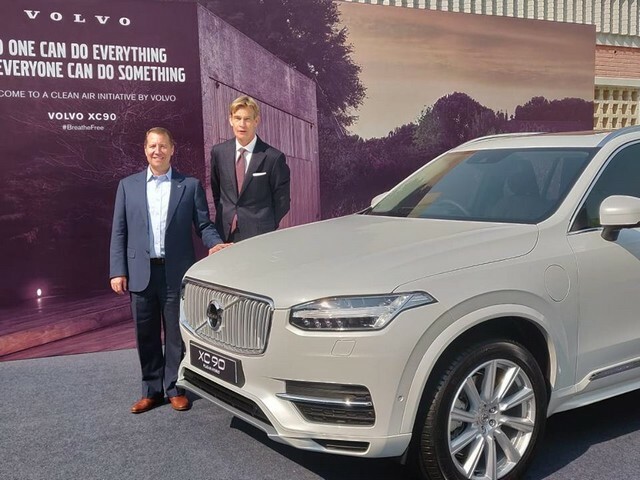 Swedish carmaker Volvo will start local assembly of its flagship XC90 T8 (PHEV – plug-in hybrid vehicle) by the end of 2019, the company said in an official statement on Thursday. This will make Volvo the first car manufacturer to locally assemble a PHEV in the Indian market. Volvo India said that it will roll out 4 more Plug in hybrid vehicles in the next three years in order to curb pollution which is caused by normal combustion engines. Charles Frump, managing director at Volvo Cars India said, “Our customers are increasingly becoming aware of the rise in pollution levels and degrading environment… Till the time we have a supporting infrastructure, plug-in hybrids offer the intermediate solution.” The battery can be recharged through an electric source in a PHEV. Currently Volvo imports the XC90 hybrid as a completely built unit (CBU), the company will start rolling out localized versions of the XC90 PHEV from the end of 2019. Volvo cars are considered the safest cars in the world and the automaker is accessing if it is feasible to introduce their electric car in India which will launch in the global market in 2019. The company has been quick to introduce new models in the Indian market and competes with the likes of Mercedes, BMW and Audi in the domestic market. Volvo aims to capture 10% luxury car market share by the year 2020 in India.